In a GQ interview today, Pedro Martinez said he wants to wear a Red Sox cap "without a doubt" when he enters the Hall of Fame. Martinez will be on the Hall of Fame ballot for the first time next year. Martinez should easily be a first ballot hall of famer. What hat a player wears can be a tough decision a lot of the time. This time it will not be. Pedro has it right. He will go in as a member of the Boston Red Sox. Pedro will always be remembered as a member of the Red Sox and with good reason too. He pitched 7 seasons in Boston while the most he pitched anywhere else was 4 seasons apiece with the Expos and Mets. Of Martinez's 409 career regular season starts, Pedro made 201 of them with the Red Sox while the Expos were the next highest team at only 117 starts. 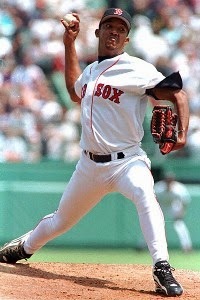 Most of Pedro's prime was in Boston as well. 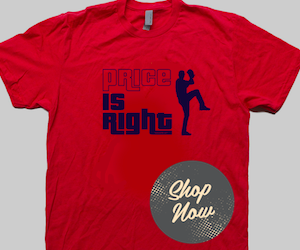 He won 2 Cy Young awards in his time with the Red Sox. Martinez also won his only title with the Red Sox. Winning a title is impressive enough but breaking an 86 year curse in the process? 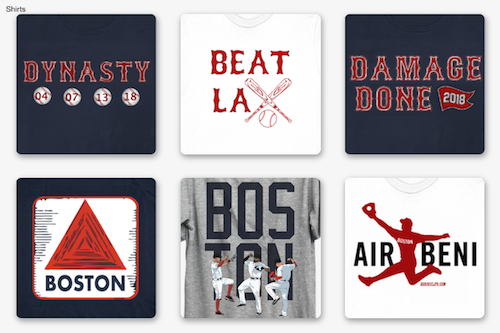 That just makes this feat and his time in Boston even more special. It truly puts a cap on Pedro's great career. It will be the same cap he will be wearing when he enters the Hall of Fame. One that has a 'B' on it.